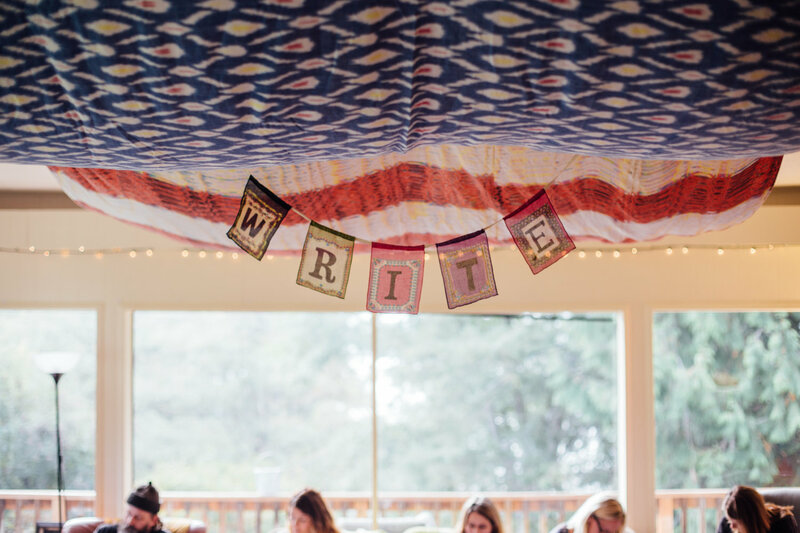 I Spent Three Days on an Island Writing with Strangers. Here’s What it Taught Me About Storytelling. Or so said the bestselling author Nora Roberts, describing her writing process. You need at least a few words down before you can try to “fix” your work. Those who write for a living (like us! ), or even those who just write for pleasure, must do it often and without too much self-editing to get words on the page. This was reinforced during my time at the annual Write Doe Bay workshop retreat on Orcas Island. For three days, in one of the most tranquil places on earth, we wrote nonstop guided both by the prompts that we were given and by words of encouragement from one another. The writing sessions we participated in each had structured themes and goals, and each provided me with valuable (and unexpected) takeaways. 1. Ask for feedback from colleagues who you don’t normally work with. Having a fresh perspective can make a world of difference, and provides richness to your piece. During the retreat, I was partnered with writers working on everything from horror novels to science fiction. Those are two genres I don’t typically read, but it turns out that having their creative input was just what I needed to give my own piece the boost it lacked. They asked questions about my story that I might never have asked myself. 2. What is your character’s deepest wound? In other words, what is at the heart of your story? This thought came from one of my favorite workshops, which was led by a former college professor of mine who is also a published author. She encouraged us to search for our protagonist’s “deepest wound”–the darkest place in a person’s being, and perhaps even the reason we were writing about them in the first place. Once we determined what it was, it became easier to construct the rest of the piece, knowing what the core of our story was. The idea here is not necessarily a character in the traditional sense, but more of an idea that must be grasped to explain the rest. Start at the core of what you’re trying to say, and use that as a guide. 3. Don’t be afraid of dialogue as a storytelling strategy. Before I attended the retreat, I rarely used dialogue in my work. I thought of it as something mostly used in fiction, something out of place in the world of public relations and public affairs. But after attending a fantastic workshop on dialogue, I began to realize how easy it is to use for agency writing–and how powerful of a tool it can be when done right. Want to use it for yourself? Try live-tweeting the next panelist event you attend–use key messages and ideas you hear from the panel, and make sure to attribute the ideas to the right people. And as always, don’t forget to provide context. At first glance, a public affairs firm and the rocky shores of Orcas Island don’t have much in common. But the more I wrote, and the more I listened to others’ stories, the better I understood how storytelling connected our worlds and can provide value to our clients.